(video is below) It’s one thing to talk about a concept – it’s quite another to SHOW it being done. In my free THT training I talk about taking each set to positive failure. 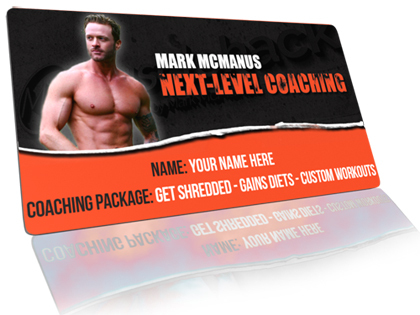 And in Advanced THT Training, we use techniques to go above and beyond regular training to ignite new gains. Folks, all reps are not equal when it comes to stimulating growth. It’s the reps at the end of a set that stimulate size gains to occur. The earlier reps, while necessary, do nothing to produce new size gains – they’re just too damn easy. So here’s a video I just uploaded to my Instagram of me taking a set of dumbbell curls to positive failure. Then I “extend” the set with an extra rep. Then I try to add a little “omni-contraction” at the end – but my biceps were already so TRASHED that I really had nothing left! So…are you training like me? Are you training with intensity? If not, why are you expecting to grow? It’s not going to happen. When we train, we want to DISRUPT HOMEOSTASIS to guarantee that growth has been stimulated. The early reps in a set DON’T get the job done. Only those last few reps up to the point of failure will disrupt homeostasis sufficiently. It is therefore those last 1-2 reps that can be rightly called EFFECTIVE REPS.
People who don’t believe that intensity matters, but that Total Volume is how progress should be measured, are simply missing the point. If you cut out those last few reps, but perform more sets to increase volume, you are NOT performing the most important reps in the set – THE EFFECTIVE REPS. THIS IS THE IMPORTANT POINT: All reps are important, but not all reps are equal in terms of their ability to stimulate growth. NOTE: I have built a pretty big set of arms – starting from nothing – skin and bones! 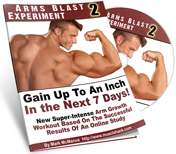 So I put together a free guide of how I built my muscular arms. How to train and the best exercises to use. Just enter your details below to get it immediately – don’t worry, I operate a completely zero-spam policy. …Training to failure is also indicated because lifting to the point where you can’t go anymore produces muscle damage and a large protein synthesis response, which will lead to greater muscle development. Taking a set to the last rep maximizes the recruitment of muscle fibers, maximizes metabolic stress levels and also muscle damage…there’s simply no disputing that fact (also see my Arms Blast Workout for a dedicated high-intensity arm routine for up to an inch in gains in 7-10 days). 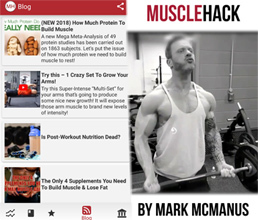 Go grab the free MuscleHack app and start tracking your progress right inside the app. 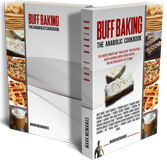 It gets rave reviews – everyone loves it! If you want to speak to me, best place to get me is on Facebook, Insta or Twitter. Hi Mark, just wanted to know why lower the weight and lock elbows when extending? Shouldn’t the goal be to keep tension on the bicep. Also you don’t twist the dumbbell to stimulate the more of the bicep. Thanks for feedback. Good stuff. I do hammer curls the same way and super set them on the final set with a lower weight.